Hattiesburg, Mississippi – May 29, 2018 (WDAM) According to a report from WDAM, a man died after a crash on U.S. Highway 49. This accident involved two vehicles that collided, a van and a car. The van rolled over onto a fence, while the car went into the median. One of the two people who were inside the van was taken to the hospital, where he was later pronounced dead. One person was in the car at the time of the wreck. No reports have been made regarding who was at fault in the accident mentioned above. Mississippi residents who lose a loved one in an automobile accident often find themselves experiencing financial difficulties on top of the loss that they are mourning. These families might be able to recover financially from their loss if the actions of the other driver involved in the crash were fully or partially responsible for the death of their family member. A wrongful death claim can provide resources to help families pay for medical and funeral expenses as well as provide valuable financial support as they mourn their loss, heal, and learn how to move forward in the absence of their beloved family member. Wrongful death claims are a type of civil action. Family members can bring wrongful death claims against the person, people, or business entity that caused their loved one’s death by their negligent actions or failure to act. The families who pursue wrongful death claims must be able to prove that if the defendant or defendants had not acted negligently, their family member would not have died. Depending upon the roles that your deceased loved one played in your family may be able to recover include lost wages, medical expenses, funeral expenses, and loss of support or companionship. Giddens Law Firm, P.A. has built an exceptional reputation throughout the state of Mississippi for relentless pre-trial preparation, case investigation, and use of the latest technologies, resulting in many significant jury awards and verdicts in all types of serious injury and wrongful death cases. Unlike many law firms that value volume and profit over client results, Giddens Law Firm, P.A. refuses to take more than a few serious personal injury, truck accident and wrongful death claims each year. 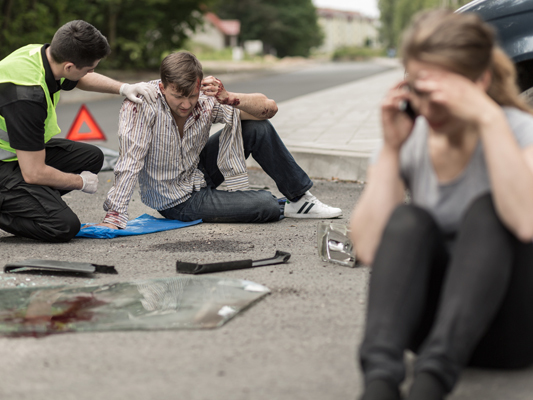 This enables our fatal car collision lawyers in Jackson, Mississippi to focus more time and resources on each case in order to yield the best possible result for our clients.